Today is shopping day so while I am out I am going to pick up a few things to make this glass cleaner. It looks cheap and easy. Now we will have to see if it works. I like the idea of not using commerical products in the house. However, I have a long way to go in order to be considered GREEN! 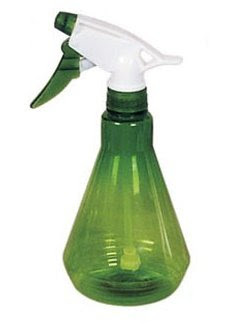 Using isopropyl alcohol and white vinegar together makes a quickly evaporating spray glass and mirror cleaner that competes with national brands. This can also be used to give a nice shine to hard tiles, chrome, and other surfaces. Do you use a homemade solution and does it work? Let me know.